A view of the church from the past. The Quinta Church is not connected with the Quinta Conference Centre which is on the other side of the road, although we are on friendly terms with those who live and work there. If you are coming for a houseparty at the Quinta Estate why not plan to come and fellowship with us on the Sunday? The Quinta Church (as it is known locally) is an independent church. That is, it does not belong to any denomination and controls its own destiny. It receives no financial support apart from that provided by its members and visitors. The building was erected by Thomas Barnes in 1858 and is considered of such architectural merit by the UK Government that it is a Grade II listed building (it would be nice if they paid for some of the upkeep, with the extra problems such a listing gives). 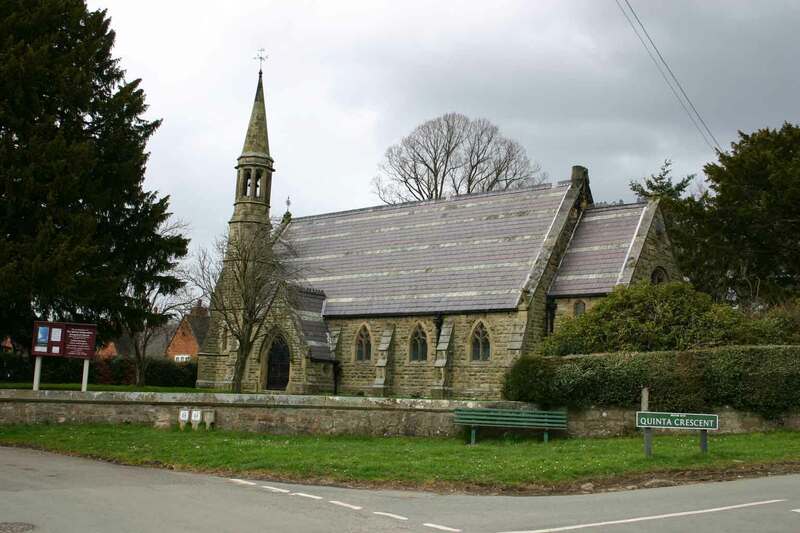 The Quinta Church was constituted in 1862 as an independent church on Congregational principles. The Church believes the Bible and would be described as Protestant, non-ecumenical, non-Anglican, non-Roman Catholic, non-Greek Orthodox, non-sacramentarian, Trinitarian and receiving no support from the state (these phrases appearing in its Trust Deed). The church's position on baptism is determined by the position on the subject of the minister, whether paedobaptist or baptist. Current practice is believer's baptism by affusion. The Church receives into its membership those who have a credible profession of faith in Jesus Christ. Baptism is not a requirement of membership. It is non-charismatic. This may seem odd to some who think that an evangelical church must be charismatic, but the Church holds to those beliefs identified as evangelical long before the charismatic movement appeared on the scene. The evening meeting at 6.30pm is held in a variety of location.